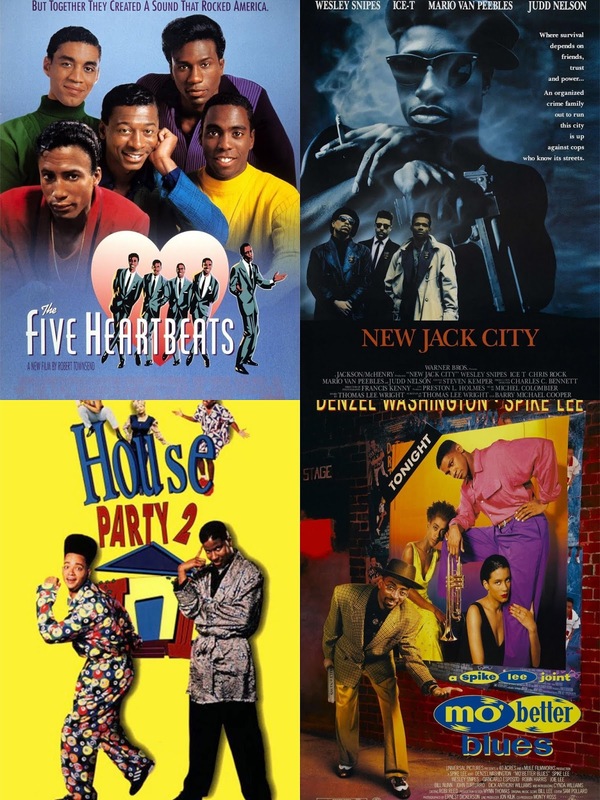 The film world has seen so many great black films over the years and as you've seen, we've discussed just about all of them, especially in the 90's. With that being said, it's only right we finish the decade off by talking about the two years that kicked it off. 1990 and 1991 were special years for black film and 1991 might be the greatest year of all for it. Let's take a look at those two pivotal years in black film. -So, this film series was perhaps the most important black film series of the decade in terms of breaking careers. Kid N Play were well known for their music, but they weren't necessarily seen as formidable acting stars and this movie changed that. Hip hop culture was rarely a part of major motion pictures and this film decided to go full fledged with it, even including a rap battle in the movie. Martin Lawrence had yet to break through and this film would showcase that he was capable and as Bilal, he was a highlight throughout. Tisha Campbell would have her biggest role to date in this movie and her most memorable film role period here. House Party also gave Robin Harris the iconic film role he was deserving of as well. -Spike Lee has made so many great films over the years that some of his best work tends to be slept on. 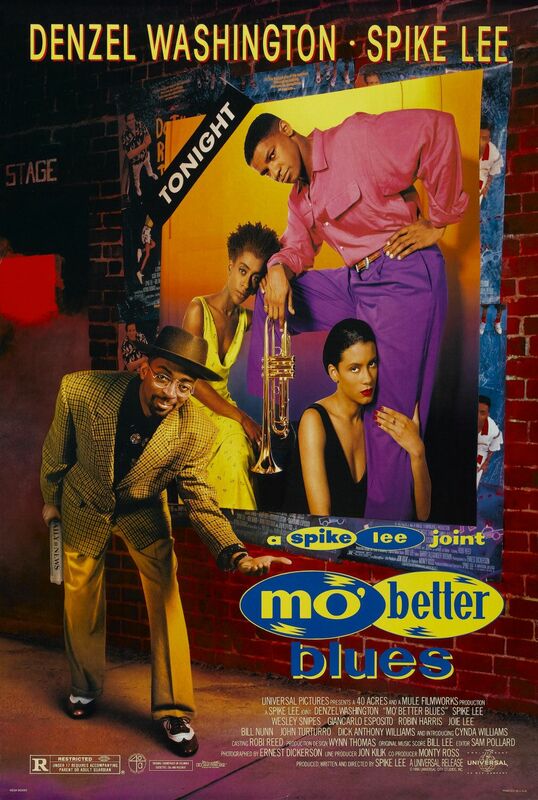 For me, once you look beyond say Crooklyn and Malcolm X, there is no better Spike film than Mo Better Blues. The cast was amazing, the pacing was very good, the story itself was intriguing, and the life and times of Bleek Gilliam were compelling. While there are a few dull or dark moments, the infusion of the jazz world and sound makes this music so enjoyable. The performances in this are excellent from Denzel to Wesley to Joie Lee to Cynda Williams and more. Mo Better Blues is a cinematic classic and the film that really put Denzel in the driver's seat as a leading actor in Hollywood (after Cry Freedom and Glory had him in supporting roles). -So, this film is one of those movies that really has to grow on you. Personally, I was never really a fan of it, more so for the premise and the reality behind it. Regardless, Spike Lee once again steps out and makes a challenging film that discusses the harsh side of interracial dating and how it was deemed taboo in an era where it was happening often already. Wesley Snipes is the main focus of the film, and his story arc is pretty ridiculous. A lawyer who cheats on his wife with his white secretary, then decides to date his white secretary after being kicked out is a lot to unpack in any scenario. What baffled me about the movie honestly was how overboard they made people's reactions to the relationship. Most people weren't mad just because it was interracial, but more so the fact that he was cheating on his wife to begin with. Regardless, despite those minor issues and the over exaggerated movie poster, there are quality performances from Wesley, Samuel L. Jackson, and Halle Berry even in this film that cover up a slightly contrived story and plot. 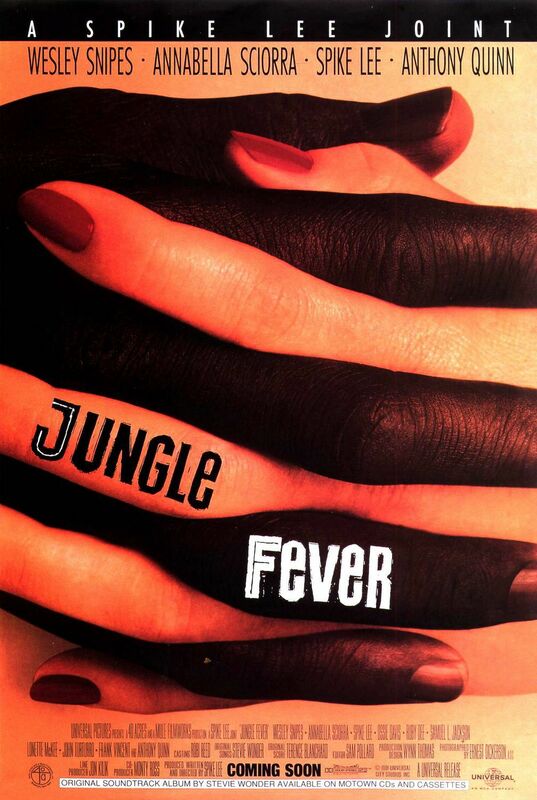 There is also no chemistry between Wesley and Annabella, the two people at the center of said jungle fever. A movie relationship where there is visibly no chemistry is never a good thing. 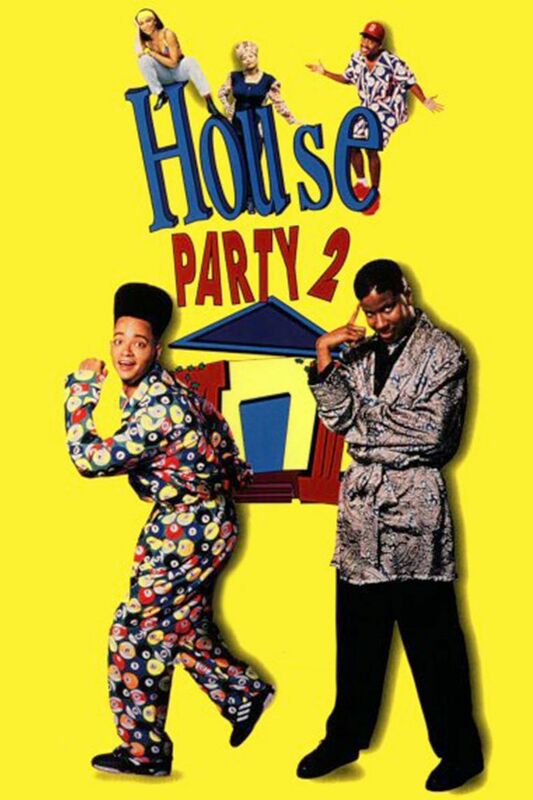 -The second is never usually better than the first, but House Party 2 tries to outdo their predecessor. The film brings back most of the original cast and add in a few new cast members as well as more celebrities. Bigger budget, bigger movie I guess. With that, we see some interesting moments in the film, such as Ralph Tresvant and Tony Toni Tone making appearances, along with Iman and Queen Latifah joining the fray as well. The film is missing the presence of the legend Robin Harris, who passed away before the filming and release of this movie. The story focuses less on the party aspect that dominated the first movie and instead looks into the life of the characters. Kid is trying to get into and stay in college, while Play is chasing a dream of making it in music. These paths and ideals for them both clash at times and is a big piece of the story developing. 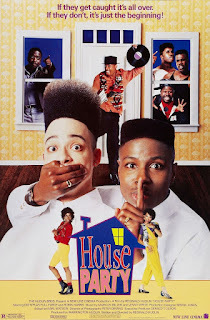 I always felt that Kid N Play had what could have been one of the first movie series that really showcased a coming of age story as it progressed through life. While the later editions tried to take this route, it didn't work. 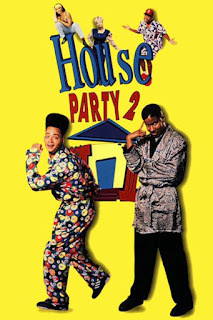 Still, House Party 2 is an enjoyable film, just not better than the first. -So, the iconic gangsta films of the 90's in black film all revolved around the street style mentality and being in the trenches. 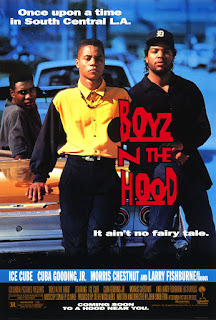 There was nothing glamorous about the images we see in Boyz N The Hood, Menace II Society, South Central, or Fresh even. It was gritty. It was raw. It was real, if you will. For New Jack City, it was also real and raw, but it did have a small piece of glamour and shine to it. It did feature more structure in their operation than other films showcased. This is what makes New Jack City the best gangsta film to me. 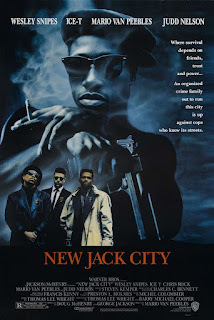 It creates a legend in Nino Brown, played by Wesley Snipes, creates yet another legend in G-Money, played by Allen Payne, and even has a memorable performance from an addict trying to do right in Pookie, played by Chris Rock. What is amazing about this movie is that it flows so well, the violence and story are all done to perfection and it feels like a mob movie tied into a street movie. New Jack City is black film excellence IMO. -So, I just spoke of the glamour of New Jack City, which Boyz N The Hood has absolutely none of honestly. The reality is, Boyz N The Hood showed you what life might be like out there on the West Coast in the trenches with some small exaggerations thrown in. For me, the film was a hard hitting mix of teenage angst on a black level, the will to dream as black youth, and the reality of the neighborhoods we all grew up in. For me, despite the one heartbreaking scene we all know and remember so well (Ricky!!! ), there are great performances from Ice Cube, Cuba Gooding Jr., and Laurence Fishburne, which all help to carry this movie to classic levels. Boyz N The Hood is a certified classic, black film or otherwise. -The greatest black film related to music ever. Or should I just go for the gusto and crown the greatest music related film ever? Simply put, I love this film. It is one of my three favorite films ever. Over the years, I've probably watched this movie 150 times, if not more, and it never gets old. Ever. Ever. The story of the fictional Five Heartbeats was based on the story of the real life legendary soul group The Dells, with elements of every other group during that Motown era thrown in for added flavor and story. The performances in this movie are out of this world and I find myself singing along to every single song in this film. I can literally find nothing wrong with this movie, aside from a few overacting moments from Robert Townsend during the musical numbers, but that's very minor. 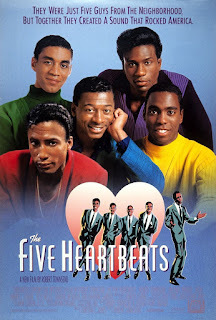 Of all the classics on this list, The Five Heartbeats is my favorite movie and the best of the best. Word to Eddie King Jr.